This little man has enjoyed learning to skate so much!! I love to watch his face...he is so serious!! This kind of stuff scares me!!! Here is my attempt at a photo shoot!! Mary Katharine was not in the best of moods this day. She also fell and had a big red goose egg on her forehead from early in the day...typical!! ha!! Anyway, I do think I was able to get a few good, sweet pictures!! Mary Katharine's new ride to keep up with the boys...she loves it!! Sweet girl has walked some miles with this stroller!! She loves pushing it around the house!! 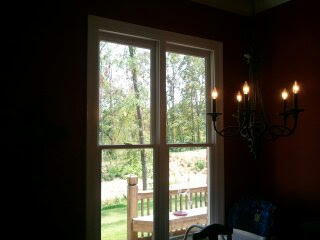 After the tornado took so many trees from our backyard, Michael and I had to get some blinds for the kitchen. We went with the cheap and easy ones from Home Depot. 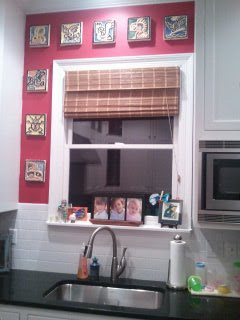 They look great in the kitchen and really helped with the sun coming in the house!! 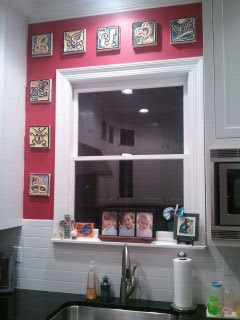 This is my kitchen window...love having it to watch the boys play while I am cooking dinner!! 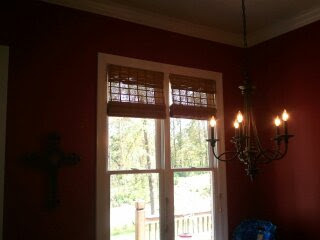 Love how the window looks now that we added these blinds!! These are not the best pictures, but you get the idea!! Can't believe we have been this long without blinds at the table!! Such a blessing!! I love to spend time with my family, take pictures, and scrapbook!! I am a stay at home mother of two, beautiful boys!! I am truly living out the plan that God has made for me!! Safe Families! We need them!